by Games from yovogames for your family! 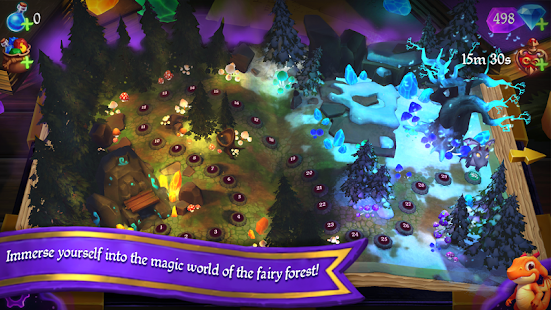 Welcome to the Magic Book – to the game, made in one of the most popular game genres ”match 3”! 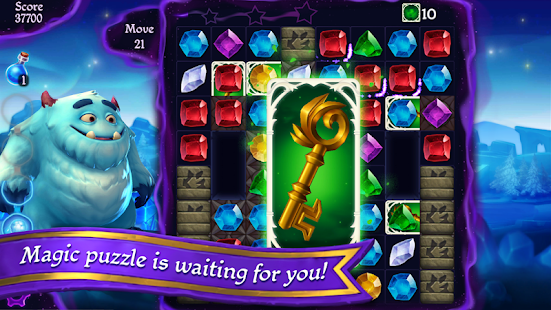 Overcome level by level, collecting combinations of crystals, using magic and solving riddles in this fascinating puzzle game. 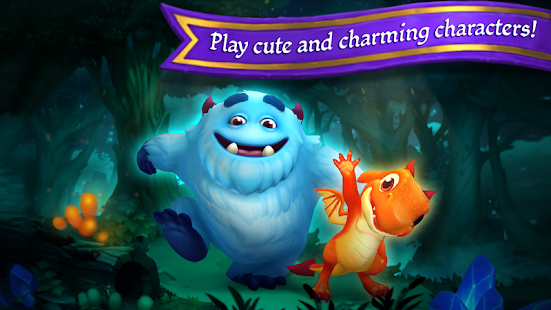 Explore the world filled with magic, release new kind characters and defeat the villains! Be smart and skillful, making moves in the game, because each of them can be rewarded with an interesting bonus or a colorful cascade of combinations! The main character is a little dragon named Draco, who had just hatched from an egg and found himself all alone in the unfamiliar world. During the game, the dragon explores the world, looks for his lost friends and finds out that they were all abducted and kept in confinement by an evil sorceress and her assistants. The dragon needs to gain strength for the release of all fairy-tale characters and the disposal of the fairy-tale forest from the danger looming over him it! The variety of game modes: collect points and crystals, collect items by moving them to the lower edge of the playing field, drive the fireflies out and much more. Going into the game every day, you can get useful prizes. 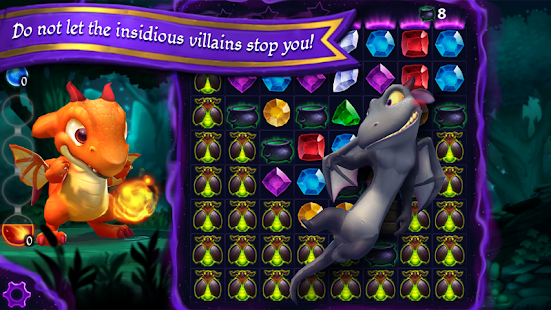 Release new characters, improve them and gain access to new abilities that can help pass levels! 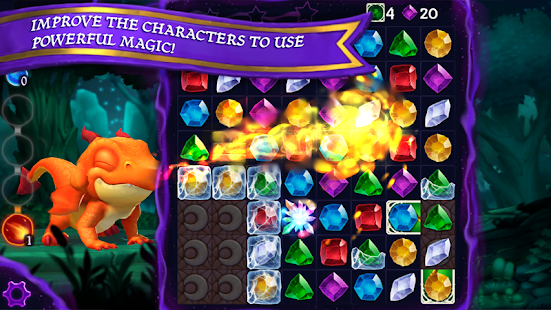 Collect various combinations by levels of complexity, to get charged crystal bombs and use them in the game! Download the game now and enjoy the Magic Book. You will get great graphics, sound accompaniment and very fascinating levels!